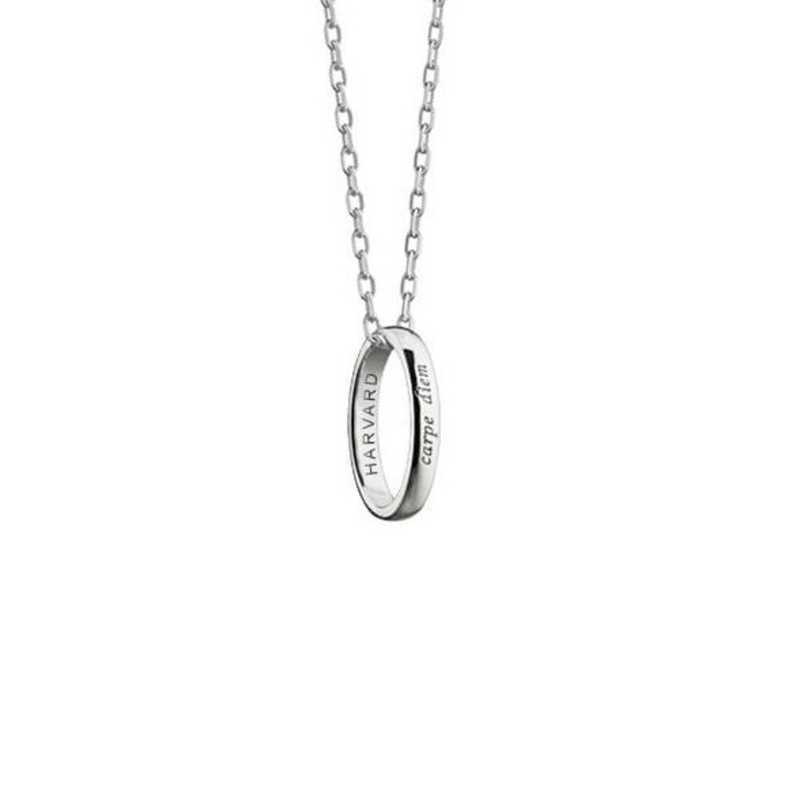 Harvard Monica Rich Kosann "Carpe Diem" Poesy Ring Necklace in Silver by M.LaHart & Co.
For centuries, poesy rings have carried special messages. Now delicately engraved with "HARVARD" on inside of ring and spirited "Carpe Diem" inscribed on outside., 17” necklace with ring pendant (size 5). Made from the finest .925 sterling silver, and Designed by Monica Rich Kosann, The Posey Ring Necklace is exclusively made by M. LaHart & Co. Designer’s gift box and custom jewelry pouch included. Perfect for your favorite new college graduate. Officially licensed by University of Alabama. by Harvard University. Manufactured direct from a trusted supplier. You're reviewing:Harvard Monica Rich Kosann "Carpe Diem" Poesy Ring Necklace in Silver by M.LaHart & Co.